Needs new battery, new brake pads & discs, and wheel bearings on right front side Otherwise it runs well. 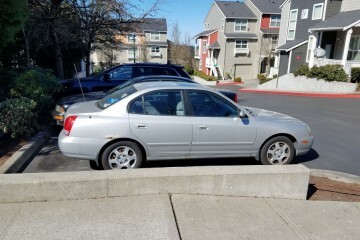 It's an older car but can be used as a beginner car or for parts. This salvage car AD was created on March 24, 2019 and it is located in the city of Issaquah, state of Washington. In case you're interested on the complete Hyundai Elantra 2002 or any piece, or want to make any related question, please use the form below in order to talk directly to the owner.